Call our Customer Experience Coordinator on 1300 FUTURE, for more information and to check your eligibility. What types of disability do you work with? Call our Customer Experience Coordinator on 1300 FUTURE, to discuss your specific needs. I am registered with another Disability Employment Services provider, can I switch to Interact? Disability Employment Services are all about choice. If you would like to access employment support through Interact, Call our Customer Experience Coordinator on 1300 FUTURE, who will assist you to transfer into Interacts’ employment service. I am still in secondary school, can I use DES to get ready for work? If you are in your final year of secondary school OR are in year 10/11 and looking for a school based traineeship or apprenticeship, call our Customer Experience Coordinator on 1300 FUTURE, to confirm your eligibility for our employment service and get ready for the world of work. What support can Interact offer me? Call our Customer Experience Coordinator on 1300 FUTURE, to discuss your employment support requirements. What happens if I’m not eligible, but still need assistance? Interact Australia is proudly part of Intowork, a national leader in specialist recruitment, employment and training services. Call our Customer Experience Coordinator on 1300 FUTURE, who can provide you with further information on other programs and services on offer. I am on the Disability Support Pension, can I still look for employment? DSP recipients are able to engage in paid employment for less than 30 hours a week without their payment being suspended or cancelled, and receive a part‑pension subject to the usual means testing arrangements. Call our Customer Experience Coordinator on 1300 FUTURE, to book in for your employment consultation. 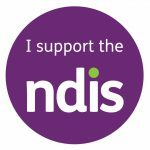 I have an individual support plan through the NDIS, can I access employment assistance? Many people with disability want to work if they can and gain the significant benefits that come with working, such as stronger skills, improved health and wellbeing, social connectedness, better incomes and higher living standards. Linking with Interacts’ Disability Employment Service can facilitate your employment goals and provide career guidance. Discuss with your support coordinator your interest in employment assistance and you, or your support coordinator, can call our Customer Experience Coordinator on 1300 FUTURE to book in for your employment consultation. Can you provide special equipment for the workplace? Interact Australia can help you access the Employment Assistance Fund (EAF) which gives financial help to eligible people with disability and mental health condition and employers to buy work related modifications and services. The EAF is available to people with disability who are about to start a job or who are currently working, as well as people who need help to find and prepare for a job. It is also available to people with disability who are self-employed, and jobseekers who need Auslan assistance, or special work equipment to look for and prepare for a job. Call our Customer Experience Coordinator on 1300 FUTURE, to discuss your work modification requirements. I have a job, but I am worried I might lose it because of my disability. Can you help me?